Over the course of the next 5 posts or so I am going to outline a five step plan aimed at helping you have more fun when it comes to marketing your business in 2008. You are in the marketing business, no matter what you sell, no matter what you think, might as well get used to that fact and enjoy the ride. Each step is based on a specific action you can take right away. This is not theory or conjecture, it’s stuff you can and should do this week in order to get ready to step into 2008. The steps also contain examples, forms and tools as needed to help you complete them. You can also expect audio, video and screencast tutorials as the series unfolds. I’ve created an RSS feed just for this series at https://www.ducttapemarketing.com/blog/category/FiveStep – take this feed URL to your favorite reader and subscribe so you can stay on track. 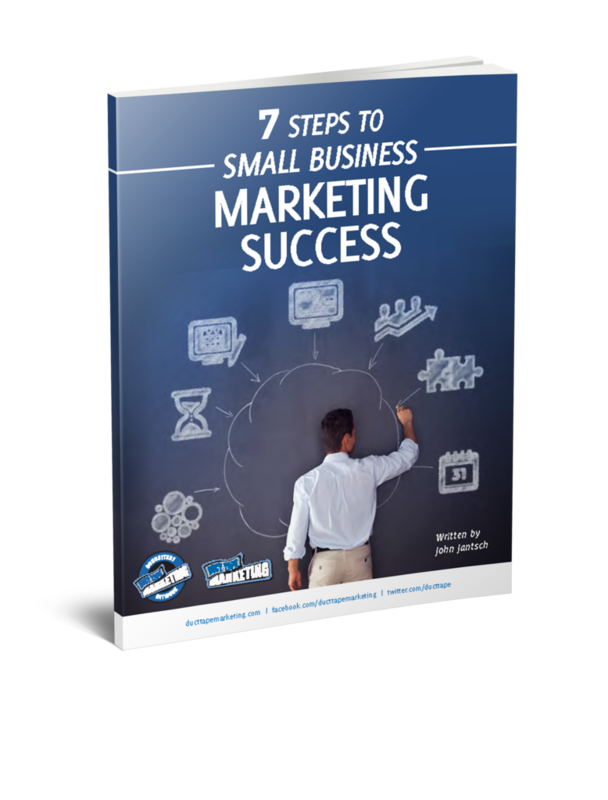 Consider giving this series as a gift to any small business owners and marketers you know by clicking on the Share This link below the post. You can email this post to friends, family and colleagues.